Finding myself in a tough spot, here are some of my classic drawings for sale. If you're interested, let me know at theflyingtrilobite on gmail. Thanks! All of these are $100, and on 9"x12" archival paper (actual drawings smaller than 9x12, but fill the space nicely). Encrinurus trilobite - used as the base for my Tra-la-la-la-lobite Christmas painting. Eremotherium and Glyptodon Skulls. Prehistoric mammal skulls drawn from the displays at the Royal Ontario Museum. 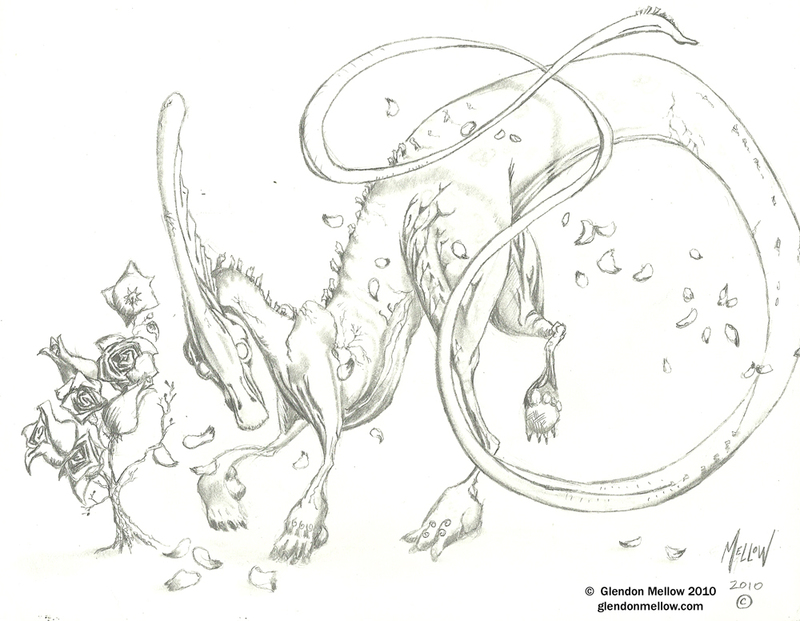 The drawing that became my Pink Parasaurolophus. If you're interested in one or more of these drawings, please get in touch.